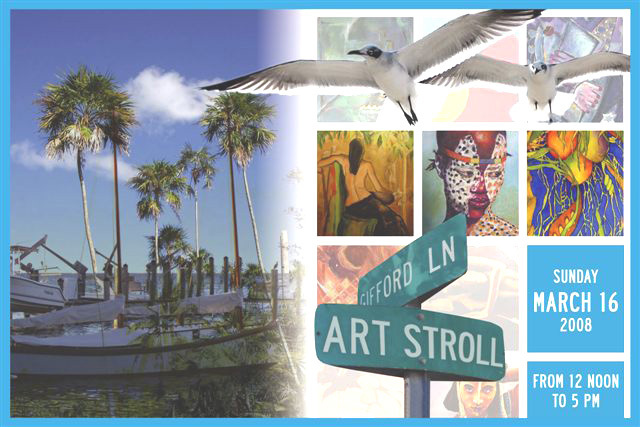 Gifford Lane Art Stroll – Coconut Grove the way it used to be…. I will be in the 10th annual Gifford Lane Art Stoll takes place in Coconut Grove, Fl on Sunday March 16, 2008 from Noon until 5:00 pm. 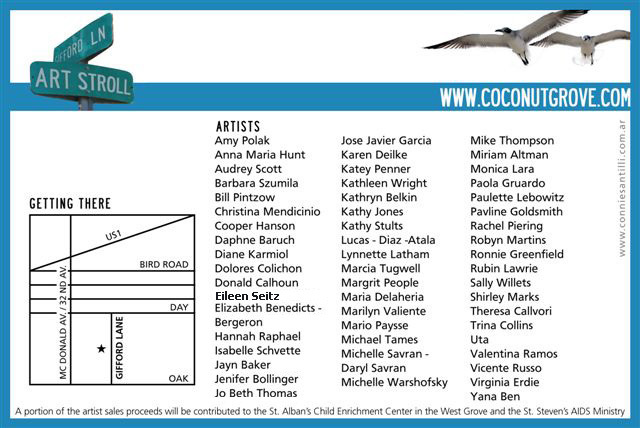 51 artists will be displaying the artwork between Day avenue and Oak avenue on Gifford Lane in center grove. “Outta Da Blues” a live blues band will be there performing. Food, friends and lots of people come to buy cool art, taste of free food and find plenty to drink. It is a free event and the neighborhood crowd has expanded to other locations.